I am the queen of imperfect desserts. When I feel nonchalant I call them “rustic” but frankly they can look like a mess. The good news is that there is plenty of room for imperfect, rustic and messy desserts in our repertoire. In fact most cuisines tout their own version of bubbly, squidgy desserts cobbled together with crumpled and crinkled borders oozing juices like a ruptured pipe. They’re supposed to do that, and more importantly, they taste really good. And when one lacks a certain gene for patience (moi) these desserts are just right. They relieve all pressure to be exacting, methodical and, well, perfect. Once that pressure’s removed there is plenty of space to simply relax, bake and eat. Just be sure to pass the napkins. If you’re feeling Italian, you can call this a crostata. Serves 6. Combine the flour, sugar and salt in a large bowl. Add the butter and work into flour with your fingertips until the dough resembles coarse meal. Add enough water to bind the dough. Form the dough into a ball and flatten into a disk, then wrap with plastic wrap. Refrigerate for at least one hour. 1. Heat the oven to 375°F. 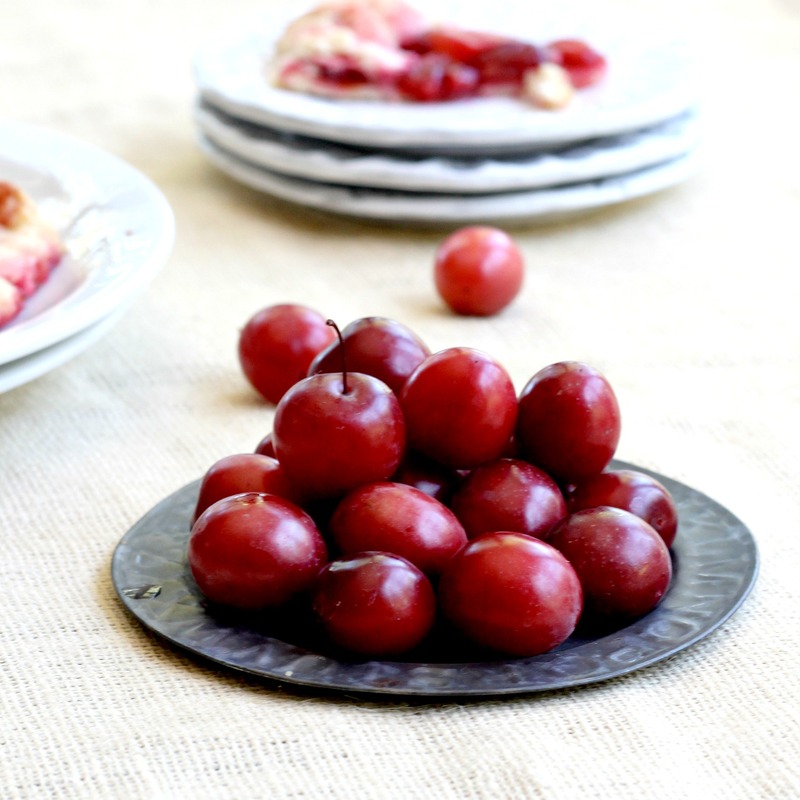 Toss the plums in a large bowl with 4 tablespoons sugar, the flour, lemon zest, cinnamon, cardamom, and salt. 2. Roll out the dough on parchment paper into a 12-inch circle. Sprinkle 1 tablespoon sugar over the dough, leaving a 2-inch border. Mound the plums over the sugar. Sprinkle the plums with 1 tablespoon sugar. 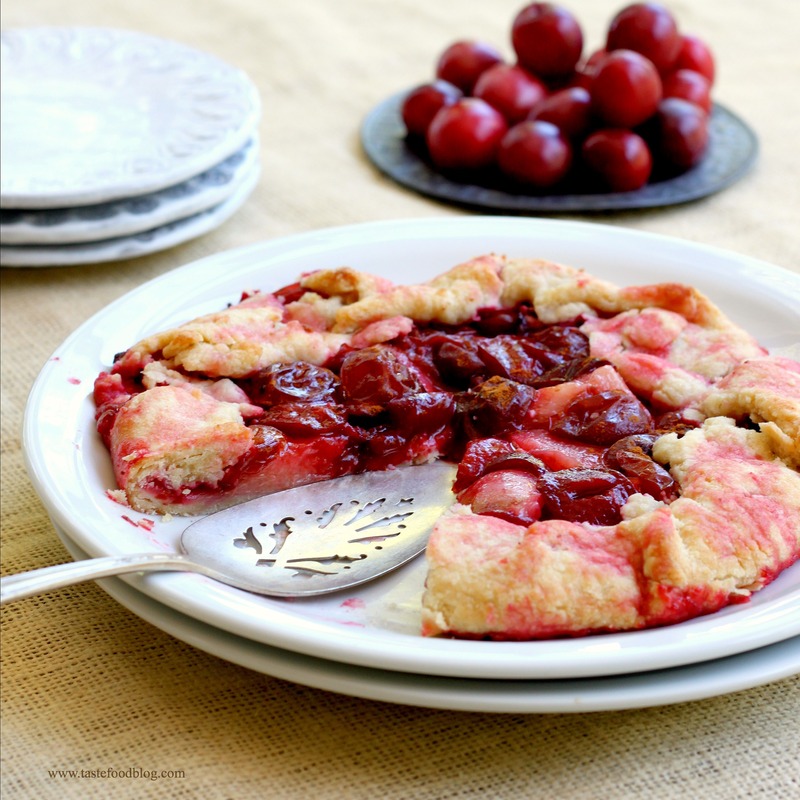 Fold the border of the dough up and around the plums. The center of the galette will be exposed. 3. Slide the parchment onto a baking sheet and transfer to the middle rack of the oven. Bake until the fruit is bubbly and the crust is golden brown, about 45 minutes. Remove and cool slightly before serving. Serve warm or at room temperature with whipped cream or vanilla ice cream. HA – I know all about you and your messy desserts – my husband fell in love with them 😉 Maybe I will try this with fresh apricots – season is so short. And don’t you know, I have a bowl of just-overripe peached, nectarines, and plums sitting in the fridge. Looks like this is Father’s Day dessert! I am all for the rustic desserts. They often taste much better than those perfected ones. I personally would order this in a restaurant over many other choices. I, too, am a very messy dessert maker! 🙂 I love your galette! I made one with blueberries recently and now…I must make a plum. Adore all the fruit cradled by the buttery crust! We do “messy” all the time at my house! Delicious galette! What a perfect summer treat.